October is the Connected Educator month as declared by US department of education. Connectededucators.org is the official website that hosts it. The great thing about this initiative is that it gathers more than 200 educational organizations into one single place. 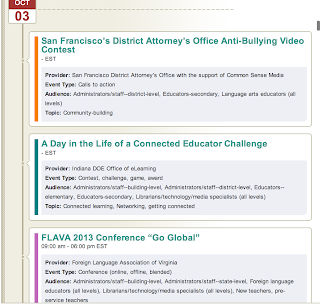 Teachers, educators, and experts get to meet, discuss, and share educational resources in a number of events including webinars, podcasts, meetings and many more. I have been navigating through the Connected Educator website and was really surprised to find out that it hosts a treasure trove of interesting educational materials that can make a difference in teachers' professional growth. From publications to newsletters, to PDF documents to recordings, anyone can access these materials for free. What is even more important about this Connected Educator month is that it offers a wide range of professional development webinars in the course of the entire month. The calendar here includes all the dates of each webinar. You can register for any webinar you want for free. The community directory is another place filled with resources for collaboration and professional development. 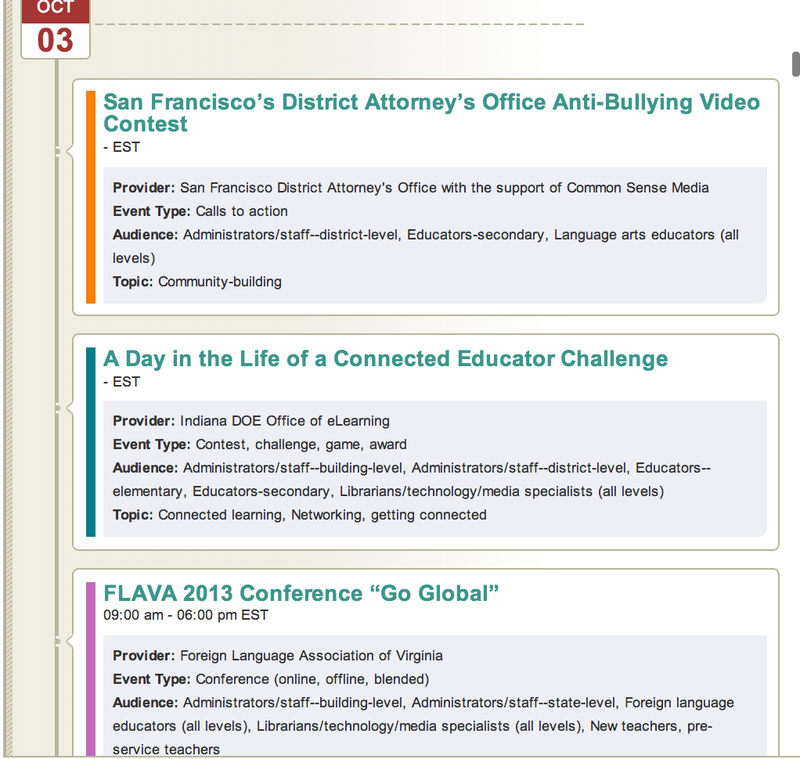 Here is a snapshot of Connected educator calendar events for tomorrow October the 3rd. click Here to access the full calendar.